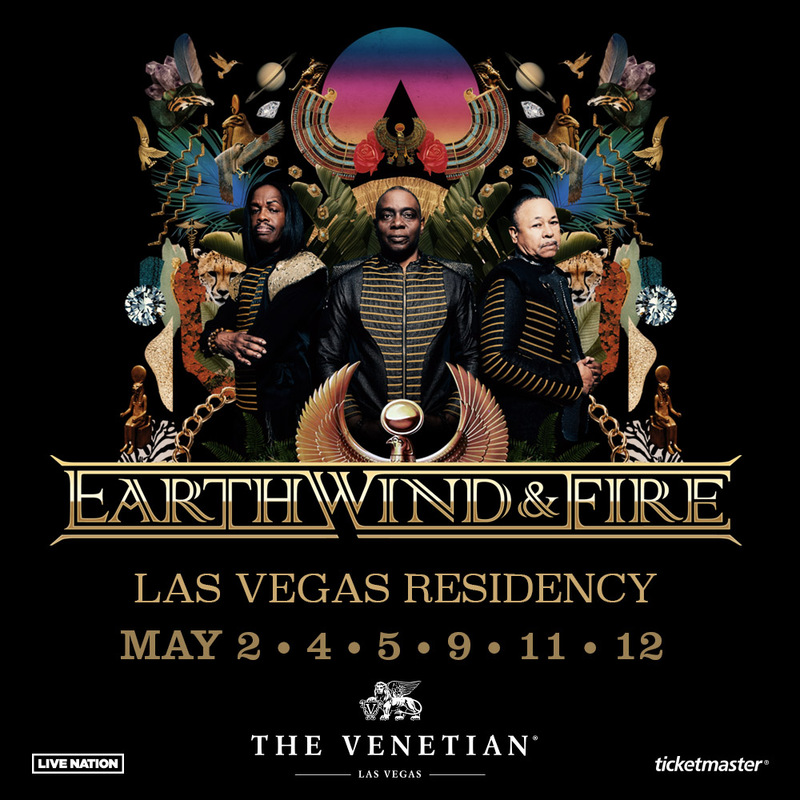 Announcing our FIRST EVER Las Vegas Residency at The Venetian, May 2-12! Tickets for all 6 exclusive shows go on sale THIS Friday at 10am PST. This residency will showcase a spectacular stage production like never seen before. Are they only playing these 6 dates in Vegas or will there be more shows throughout the year. I must find a way to get there. I love Earth,Wind and Fire! When I was a teenager, at the age of 13 years old and I heard , Keep Your Head to the Sky. Baby after that I was hooked for life. I may have to go to Vegas just to see one of my favorite bands of all time! I live in Denver and never miss a show. Hi. Desperate to know if you guys are doing gigs in the UK in summer 2018 – apart from Love Supreme that is. I’M a big fan of Earth Wind and Fire. I would love too see you perform in person. Can I look forward in seeing you perform in Detroit Michigan one day.. I am anticipating the arrival of the new album for ewf. Even thugh i really miss maurice. White very much. My sister marva freeman also went to be with the lord savior. God bless you. And peace my brothers. love. Cavier dreams keep it hot !!!!! Great venue and as always they were simply amazing and absolutely loved the new wrinkle with “Reasons” brought chills and tears. I hope they come back next year so the group that went this year can plan for another great weekend.